A question that has occupied a lot of people’s attention throughout the history of the church, and I’m sure other religious formations, is the question of who is “in” and who is “out” when it comes to God’s acceptance. I think one of the reasons we seem to like to decipher an answer to that question is because, for the most part, it reinforces our own sense of “in”-ness. It would be the rare person who works hard to identify himself as an outsider. No, we like to differentiate between insiders and outsiders because it usually makes us feel better about ourselves. God, however, doesn’t seem to validate that quest. At least not so far as the New Testament is concerned. In the section we’ll be reading in Romans, chapter 9:24-33, Paul will be looking at what God has intended for humanity all along, and what will characterize his intended result. Paul begins this section with rapid-fire quotes from the Old Testament – from the minor prophet Hosea and Isaiah. The actual quotes are in reference to Israel, how, because of her unfaithfulness, she had been disqualified from being God’s people. Still, the prophet forecast a time when she would return from exile and be His people once more. Paul restructures this to be a picture of God’s plan to include the gentiles. People who were not God’s people who become God’s people. Based on that quote, what does that tell us about the make-up of the church? What has God’s plan been all along, and who should we expect to be included? How easy or difficult is it for you to accept people who aren’t exactly like you in their beliefs, place in life, ethnicity or culture? How can we pursue God’s intended diversity as the church? A contrast is made between the gentiles who are made right with God even though they never set out to achieve that, and Israel who worked so hard to get right through the works of the law, who never experienced it that way. What lesson do you think Paul driving home about the nature of salvation as well as the nature of the church? Who is the rock which makes people stumble in this text? Why would the Jewish people have stumbled over Jesus? How do people stumble over Jesus, even in the church, today, based on v 30-33? Hope to see you this Sunday – and remember, next Sunday (Aug 26th) we will only have ONE service at 10am – after that we’ll head to the beach for Surf-N-Grill! We are heading into a complex and challenging section of the book of Romans as we continue our study this Sunday. Romans is divided into four distinct sections – and this week we’ll be starting the third section, ch 9-11, which deal with the question of Israel’s history and place in the overall narrative of God’s plan to restore all things. Chapter 9 of Romans is a powder-keg of doctrinal volatility. People have broken friendships over differing interpretations of that chapter, pastors have been removed from churches, churches have split and veritable oceans of ink have been used to vent opinions about this difficult part of the book. We’ll be reading ch 9:1-13 as we begin this section. We certainly seem to go from a high point about God’s faithful love in chapter 8 to a serious lament in ch 9, don’t we? IN v 1-4, Paul is quite passionate and dramatic in expressing his heartbreak – what lengths does he say he’d go to if it would mean Israel’s acceptance of Messiah? Paul is setting the tone for ch 9-11 – it is structured as a lament. From there he lays out the dilemma – why do the people who received the promise reject the Promise? To address this, Paul poses rhetorical questions and then sorts his way through the facts that he knows from the Old Testament stories about how God was fulfilling his purpose through Abraham and his family. 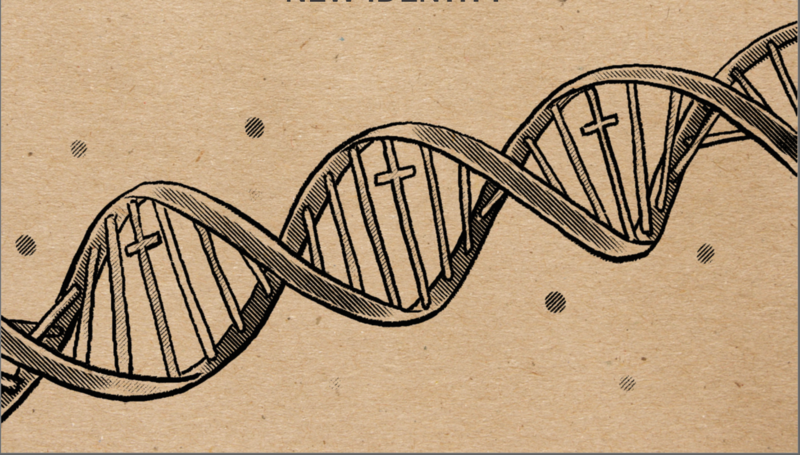 He highlights a pattern where God isn’t interested in making sure the DNA match is there – that repeatedly, God chose specific individuals through whom he will advance his plan to redeem all things, while setting others aside. How does this passage make you feel? What do you think it’s communicating to us about God’s faithfulness to his promise? What would you describe as the theme of this passage – personal salvation or God’s big picture plan? Those are things to mull over as we dig into this passage on Sunday. Hope to see you then! I think this is largely because we’ve relegated the Gospel to something that only effects our future (going to heaven when you die). We end up fixating on the eschatological implications of the Gospel and almost ignoring the present ramifications of the Good News about Jesus. Yet the New Testament adamantly declares that the Gospel is effects our past and present, as well as our future! In our study of Romans, Paul has been reminding the Roman churches about the nature of the Gospel and how it should have a unifying effect on them. In ch 5-8 he’s been reminding them of what our lives look like now that we have a new covenant with God through Jesus. He’s compared that new life to our old life enslaved to sin and in fear of condemnation by the Law of Moses. In the section we’ll be reading this Sunday, chapter 8:1-17, Paul will get to the very heart of what the gospel is, and what it means to US! He reveals to us why the good news is really good! In v1-4 he launches off with the stunning declaration of our deliverance from condemnation for sin. How easy or hard is it for you to believe that you have been declared “not guilty” by God because of Jesus’ work on the cross? How easy or hard is it for you to believe that God no longer associates you with any sin of your past, present or future? How would you describe this as good news? In what ways to you see your life energized by the resurrection power of God (v11)? Obviously, this has future implications of our bodily resurrection at the end of the age, but in what ways can you see that effecting your life today? How would you see this as good news for a life in this world? What do you see as the importance of having our identity built on being a child of God (v15)? How does being God’s beloved child affect your status, relationship and purpose in this life? In what way is being brought into God’s family good news? I love chapter 8 of Romans – this is such an encouraging section to read! Hope to see you on Sunday! I’m a grandparent, and pretty dang proud of that fact. We have a dedicated play-room in our house again, just for our grandchildren. One thing I’ve noticed is that when they charge into that room to begin playing, it takes mere seconds to completely destroy the order of that room (not that we mind – there’s nothing more sad than a well-ordered and unused playroom – but that’s not the point I’m making here). Like the classic cartoon Tasmanian Devil, those kids can create total upheaval in a matter of moments. Putting it all back in place is another matter. It takes much longer…weeks, sometimes, as we randomly discover runaway Legos underfoot. As with most things, deconstruction is the easy part – putting things back to right is the greater challenge. Paul makes a grand contrast between Adam, the progenitor of our ruin, and Jesus, the ground-source of our redemption. Paul begins by describing how sin entered the world through Adam’s disobedience, and death followed on its heels. How would you describe the effect of sin and death on this world? How has this affected you personally, or your family? How difficult is it for you to believe that Jesus’ one act of obedience has the power to transform us into people who are redeemed…described as saints? Why do you think we struggle with this and so often try to find redemption through our works or good behavior? Paul emphasizes the word “gift”, something offered for free, four times in this passage. Why do you think he makes that emphasis, and how should that impact the way we present the gospel? In v20, how does God’s “more abundant” grace change your perception of yourself in relationship with God? How can it change the way we think about those outside the church? What is the great lesson we can learn from the overarching nature of God’s grace? Can I Get Two Witnesses? While Revelation may be the most puzzling book of the Bible, chapters 10 and 11 prove to be the most puzzling section of Revelation. The imagery is dense and the symbolism is deep and this will take some thinking as we navigate our way through this section. We’re first introduced to an angel holding a little scroll which John is instructed to eat. If you read Ezekiel 3, it gives some context to this odd requirement. What do you think this action symbolizes for John, and what might the scroll represent? In chapter 11, John is instructed to measure the temple, symbolically indicating it’s preservation. At the time of Revelation, the temple had been destroyed more than 20 years earlier. What do you suppose this temple represents? Hint: 2 Corinthians 2:6. The witnesses are described as lampstands and olive trees. What else has been described as a lampstand in Revelation? What might these witnesses represent? Wear your thinking socks on Sunday, this will be a challenge, but well worth it! Well – it had to happen at some point, right? This Sunday (Lord willing), we will begin a new Bible study on the last book of the Bible – The Revelation! I know for some this has been something they’ve been hoping for for quite some time. It is literally the last book of the New Testament for me to teach through. Now I know that the world was supposed to end a few weeks ago and some people got really caught up in the hype of that. We have had a lot of cosmic-like events happening lately, a solar eclipse cut across North America, multiple devastating hurricanes and earthquakes have done catastrophic damage around the world and a violent madman unleashed automatic gunfire into a crowd of innocent concert-goers. So many terrible things happening that we could start wondering if these are signs that the end is near. The Revelation that John wrote will address that, as Jesus did in Matthew 24. I can tell you now, that yes, these are signs of the end. From the time that Jesus was raised and ascended into heaven until he returns again the world is in it’s last stage. It’s lasted a lot longer than anyone anticipated, but these last 2,000-plus years have been the last days. Jesus told us plainly that what will characterize the world in the interim of his two advents will be wind and waves, diseases, earthquakes, wars and rumors of wars. The world will continue in violent upheaval that are like birth-pangs, waiting for a new world to be born. So, yes, the horrible things we are seeing daily on the news are indications that we are in that time Jesus spoke of, but it’s just another day in a broken world as well. The Revelation was written to answer that question. It was intended to pull back the cosmic curtain and remind us that there is more going on than meets the eye. God has a plan and purpose that he continues to fulfill, no matter what it may look like on the surface. Let me warn you that I will not be offering charts of sequential events or providing formulas for how to calculate when the end will occur. We won’t be describing ways in which we can spot the Antichrist or set a date for the rapture. What we will be doing is reading The Revelation to discover what it tells us about today, and how we can find hope in Jesus in our present lives. I believe this book has a lot to offer in our ongoing discovery of Jesus! In fact…I’m SUPER stoked about this book as I’ve been re-studying it over the last several months! As we begin our study, we’ll be reading v 1-8 as an introduction. It may help if you have an acquaintance with the genre of Apocalyptic Literature. I hope we have our services on Sunday – I hope we all stay safe – pray for the people of Louisiana and Mississippi – as well as all the regions that have been in harms way lately. Pray for a return to stability and for life to be preserved – and always be on the lookout for ways we can be the Good News in this world!